You need a plan. A PhD can be overwhelming. There's so much to do and organise. How do you know if you're doing enough? Where do you start? Start by reading this book. 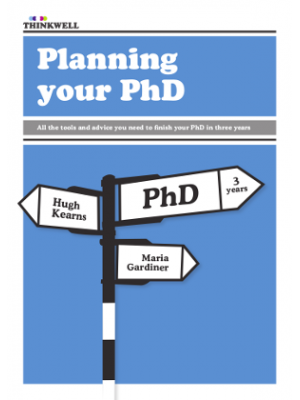 This book has grown out of the very successful course, Planning Your PhD, which has helped thousands of students take control of their PhDs and finish on time. Here, you'll find all the tools you'll ever need to successfully manage your PhD. And you can download templates for all these tools and customise them for your PhD.